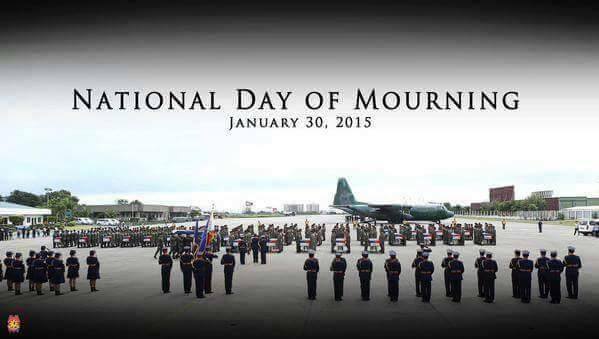 Today is a National Day of Mourning in the Philippines. 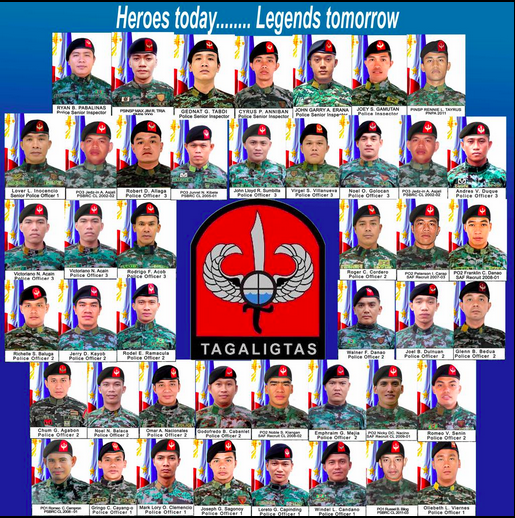 The whole country pays tribute to the 44 gallant men of the Philippine National Police Special Action Force who lost their lives on January 25, 2015 in the town of Mamasapano in Maguindanao. The 44 were part of the Philippine National Police’s elite corp that was entasked with the responsibility of serving arrest warrants to two terrorists: Malaysian Jemaah Islamiyah leader Zulkifli bin Hir also known as Marwan, who is listed among America’s most wanted terrorists; and Filipino bomb maker Abdulbasit Usman. Marwan is believed to have been killed in the encounter. Update: On February 4, 2015, the The Federal Bureau of Investigation (FBI) Field Office in Los Angeles, California, officially confirmed that preliminary DNA testing of a finger supplied by the Philippine National Police belonged to Marwan. Marwan was considered the “Osama Bin Laden” of Asia, and was among Al-Qaeda’s top bomb makers. Thank you for your courage and loyalty to the country…you do us proud.